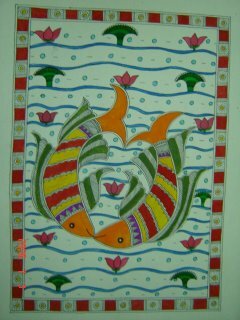 Fishes in love in a lotus pondFishes engaged in love in a lotus pond. 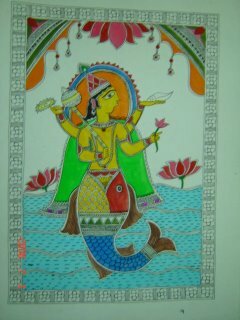 Fishes symbolize good luck and prosperity in several part of the world. 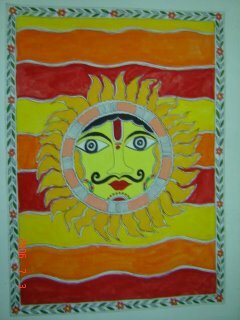 Lord Surya or sun god in his majestic form indicates the power and energy that the world derives from him. 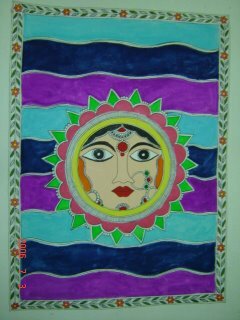 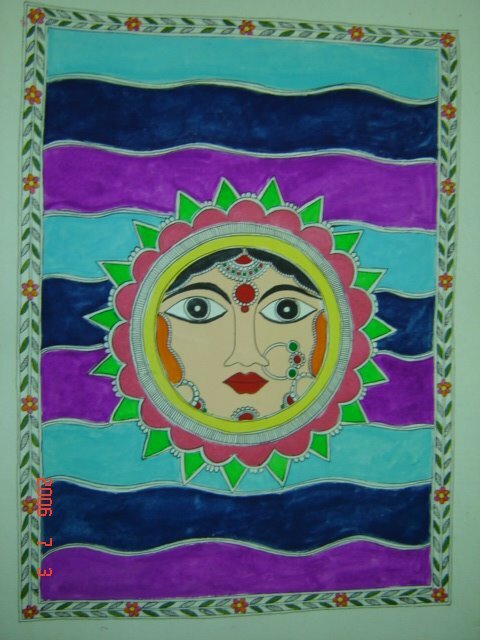 Moon or Chandrama Maa or goddess moon in her calmness reflects the calmness she provides to the world. The blue colors of the night depict the calmness associated with the goddess and the light that the moon provides the world in the ocean of darkness.